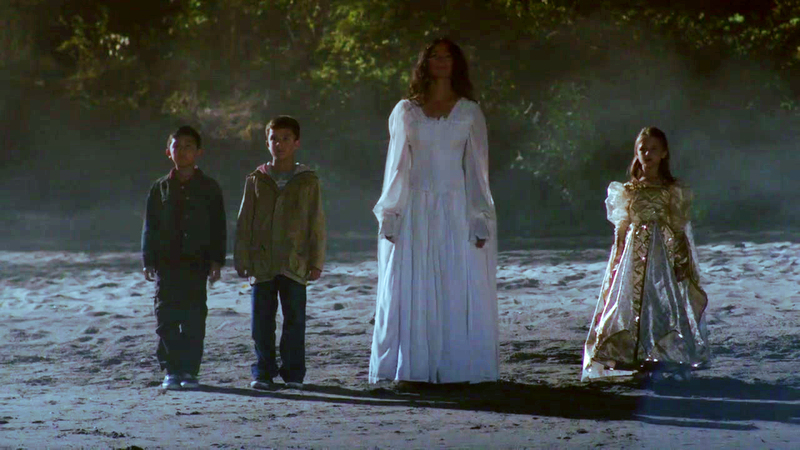 As Dia de Los Muertos approaches, we ask La LLorona to be with us in song. The haunting tale of the Weeping Woman is matched and embodied in the traditional song of the same name. 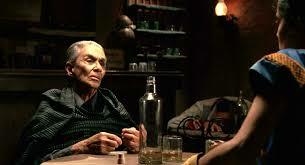 Joan Baez and Lila Downs among many others have recorded it, but the most emotionally resonant version is by Chavela Vargas, who sings a portion of it to Frida Kahlo in the film Frida: http://www.youtube.com/watch?v=m4yDMvQE8vw (ironically in the film, the aged Vargas, playing a ghost, is singing to the actress Salma Hayek as Frida, who decades earlier had been Vargas’ lover). Here is the full version of Vargas in concert: http://www.youtube.com/watch?v=t4OV7Rw8OVM. Having travelled up and down the spine of Mexico for generations, the song has acquired literally dozens of verses, most of them dealing with lost love and all expressing grief and suffering. But its point of view shifts continually between the various actors in the drama, and this tells us much about the complexity of this otherworldy figure. Llorona of yesterday and today. Today, I am less than a shadow of that. cuando llorar no se puede. that my heart is joyful. no sabe lo que es martirio. Llorona of a Lily of the Valley. Si él no duerme conmigo? if she does not sleep with me? Llorona, take me to the river. for I am freezing to death. quieres que te quiera más. qué más quieres, quieres más? you want me to love you even more. what more do you want, you want more? Mexican popular culture sometimes identifies La Llorona with La Malinche, the native woman who was interpreter and mistress to Hernan Cortés. She bore him a son, only to be abandoned so he could marry a Spanish lady. But Spain could not have conquered Mexico without her help, and thus she is implicated in the demise of Native American culture. She weeps for all of Mexico’s children. Indeed, she weeps for all the world’s children. The image of the woman weeping by the water occurs so commonly across Celtic and Mediterranean Europe that we must consider her to be an archetype. The Irish call her Be’an Sighe, which has been Anglicized to “Banshee,” an omen of death. She appears as a small woman dressed entirely in green, who is washing winding sheets (the old name for a shroud) in a watercourse and weeping. Asked who has died and needs winding sheets, she either says “You!” or gives the name of someone who will die in the next few days. She may appear as a dark shadow, or as a beautiful woman dressed in white, with long, red hair. In Greek folklore, the woman who weeps by the waterside is Medea, grieving for the children she bore to Jason, then slaughtered because of his plans to abandon them. Greek myth, sadly, has many tales of child murder. But only Medea kills her children out of spite, simply to hurt the man who has hurt her. This narrative brings us beyond historical interpretations to the psychological. We may interpret each character in a myth or folk tale as we do a dream. Each is a part of the dreamer. In the context of patriarchal repression of the feminine, Medea/Llorona kills or marginalizes her children – parts of herself – of her own natural, indigenous soul. She may do so out of a twisted need to fit into her culture’s restricted definition of who she can be. Or her actions may well be her rage at the patriarchy directed in the only way it can go, within. From this perspective, all acts of self-destruction, suicide, child abuse and genital mutilation (always perpetrated by women, not men) represent the core of power relations in our demythologized world: Since I have been brutalized, I will hurt you because I have the privilege to do so, because I can, because you cannot retaliate, and therefore your only alternative is to hurt those over whom you can exert privilege. And within the most extreme aspects of that context – slavery – one may well choose to kill the children to save them from an even worse fate. In 1856 Margaret Garner, an enslaved African-American woman, killed her own daughter rather than allowing the child to be returned to slavery. Steven Weisenburger tells the true story in his book, Modern Medea: A Family Story of Slavery and Child-Murder from the Old South, but we are more familiar with Toni Morrison’s fictional, ironically titled novel, Beloved. Is it possible to love another so much as to kill him or her to prevent further pain? Does the Weeping Woman also preside over assisted suicide? Domino Renée Perez is a professor of English at The University of Texas at Austin and author of There Was a Woman: La Llorona from Folklore to Popular Culture. She is alternately, and sometimes simultaneously, a person, legend, ghost, goddess, seductress, moral tale, metaphor, story and symbol…As her story has evolved, storytellers and artists both inside and outside her community continue to adapt her story to new contexts. Some feminist scholars reinterpret the narrative as resistance to patriarchy. Perez suggests that by focusing on their agency to both create and end life, women can revise and transform the tale into one of empowerment instead of despair. And there is always another alternative to the common pattern of passing one’s suffering on to those who cannot defend themselves. It is the way of grief.